Who is Gamora? 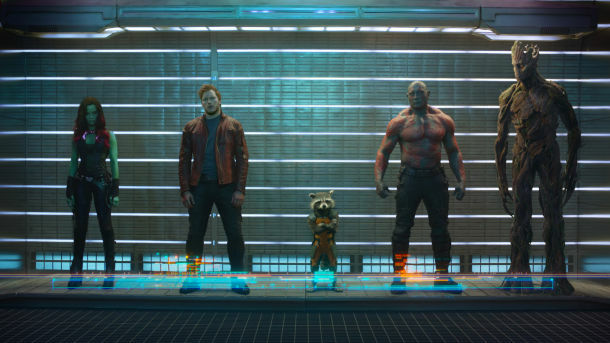 The deadly green beauty of Guardians of the Galaxy. Gamora is a hero in the Marvel Universe. 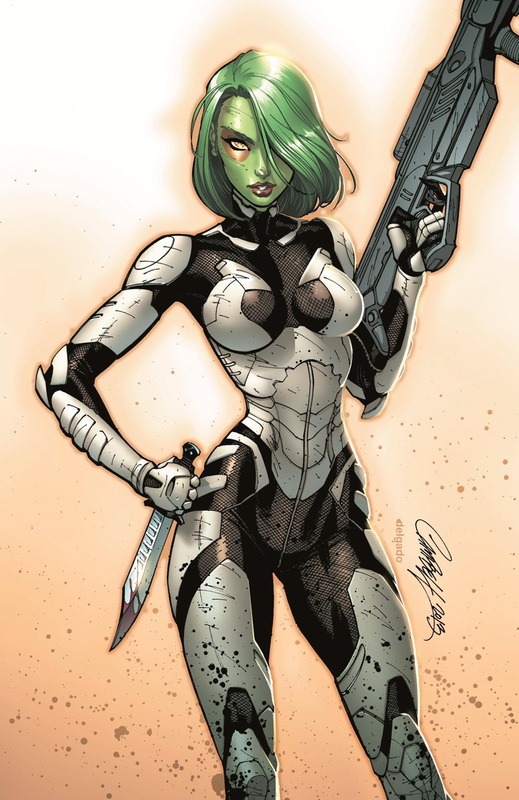 Gamora is known as the most deadly woman in the universe a title earned from reputation as an assassin. She later repents for evil ways by joining with heroes like Warlock, the Infinity Watch and the Guardians of the Galaxy. Gamora was adopted and trained by the villain Thanos. Gamora's species, the Zen Whoberi were annihilated and she is the last of her kind. This annihilation was at the hands of the Universal Church of Truth or the Badoon (depending on timeline). Thanos adopts her and trains her to be a living weapon. He is not a kind father but does help her gain considerable powers. By the time Thanos is done with her she has the well earned reputation of being the most deadly woman in the galaxy. She has romantic relationships with both Adam Warlock, Tony Stark and Nova Rich Rider. The Adam Warlock romance was fairly one sided as Warlock did not return her advances. Over her comic history she has possessed the time infinity gem and she has also spent time living (basically dead) inside the soul gem. She also has possessed the Godkiller dagger which is considered to be one of the most powerful weapons in the Marvel Universe capable of killing even a Celestial. Super strength, speed, durability, reflexes, agility. She has a very high level of training in martial arts, weapons and military combat. Is considered to be among the top martial arts masters of the Marvel Universe. She is a highly trained assassin and very knowledgeable of the Marvel universe its different species and their powers and tactics. She has been heavily and ruthlessly trained by Thanos from a very young age. Godslayer dagger- Possessed a dagger that could slay even god like beings. Time Infinity Gem- Possessed infinity Gem of time that gave her some precognitive visions. She is a member of Guardians of the Galaxy and a former member of the Infinity Watch. She has father/daughter relationship with Thanos. Not a good father daughter relationship she hates and wants to kill him. She has had romantic flings with Nova and Tony Stark. In the movie it appears she may develop a relationship with Starlord. Not a girl you want to break up with. She also gets cosey with Tony Stark who apparently is less impressive. He needed some of Rich's Nova Force. Gamora is played by actress Zoe Saldana in the film Guardians of the Galaxy. In the film Gamora betrays her adopted father Thanos to steal an infinity Power Gem. In doing so she helps found a group of cosmic heroes / misfits called the Guardians of the Galaxy.